Having co-founded Bland Garvey in 1967, John is retired, of counsel and is still the informal firm historian. In addition to strategic business oversight, John’s experience includes tax planning and financial management for professionals and entrepreneurs, mergers and acquisitions, and retirement planning. He has worked extensively in healthcare, professional services, oil and gas, and real estate. Lending his seasoned knowledge to many organizations, John has lectured extensively on tax and accounting issues. He has been a featured speaker at numerous industry-related conferences including the Southwest Dental Conference, the Texas Dental Association and the Celebration of Enterprise. 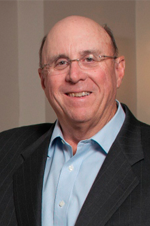 John holds a bachelor’s degree in business administration from Southern Methodist University and currently serves on SMU’s planned giving council. He is a past chair of the Dallas Chapter Management of an Accounting Practice Committee and has served as treasurer and director of For Goodness Sake!, a charitable organization which benefits seventeen local children’s charities. John enjoys golfing and fishing and other outdoor activities.